Samsung just officially announced galaxy note successor, the Galaxy Note 2. I features a beautiful 5.5in HD Super Amoled screen with a quad core processor beneath. It features 1024 pressure sensitive points to accurately get the Spen contact with the screen. Galaxy Note 2 bring photo note. In this you can flip the photo and it will produce an image that looks like the back of image and then you can write on it. Write a word in the box and it will automatically suggest a picture. This is awesome feature. You can also add pictures to library. Will be interesting to use it. The new S Pen has new tech. When you hover it over the screen you can see the preview. This can be done over an email, calender event, photo or a message. 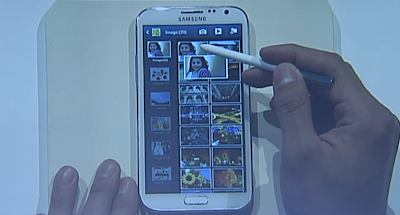 Just hold the Spen and swipe it up where a command window appears . When you write a name and it recognizes you command and and takes you to the contact. More commands available. 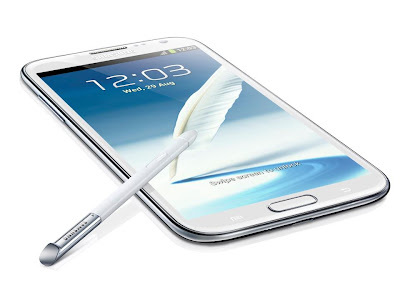 S Pen SDK 2.0 available. Sketchbook takes advantage of the S Pen and let the artists elevate even further.it is available preloaded with the galaxy note 2. 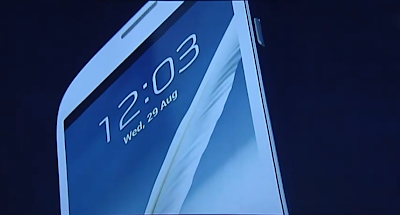 The design is very close to galaxy s3 and now samsung has start to take the look away from apple. The software is improved.